Bunny Cable Using Circular Needle, working in the round. Pattern Repeat (12 sts) I used 3 Purl sts in between each Bunny Pattern Repeat, making 6 Repeats of 15 sts. ARBA Del Mar Convention 2016 Fuzzy Vaughn's Giants rocked this year's convention. Ensure you type the date and name of the show in the Subject Line. Never make attachments of your information, please always type your information in the body of your email. Sanctions, What does it all mean? The organizers of the rabbit show(Host Club) will need to purchase “ARBA Sanction” to enable the show to be official. 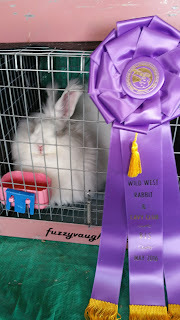 When you show a rabbit in an ARBA sanctioned show, your rabbit can earn official legs. 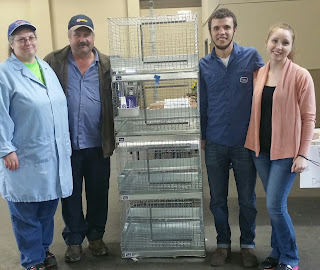 Earn 3 legs and your rabbit can qualify for ARBA Grand Champion Certificate. 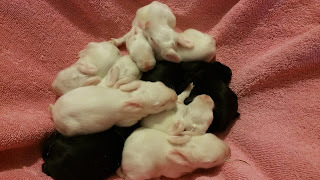 * Click here for Betty Chu's Article "Legs & Points"
Breed Sanction The Host Club will pay a fee to the National specialty club, (NARBC for angoras), to purchase the Breed Sanction. 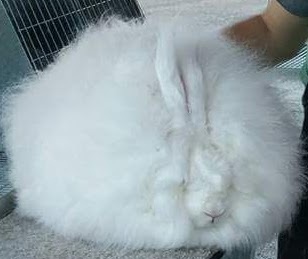 We refer to it as the “Angora Sanction. The NARBC offers sweepstakes winnings for NARBC members. 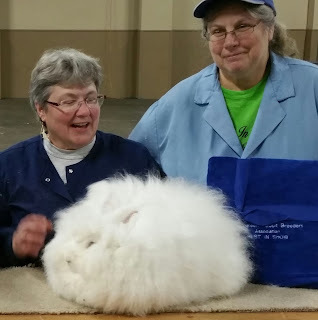 Only the Shows that are Angora Sanctioned, will be tallied up for the NARBC sweepstakes. Just finished my pink bunny beanie. 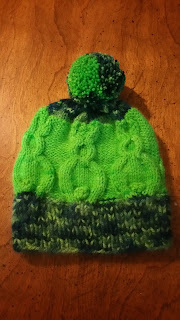 Knitted with my worsted 50/50% giant angora / merino yarn. I love the feel! So, soft! Nearly White Wool Great density, but nearly white-no color. 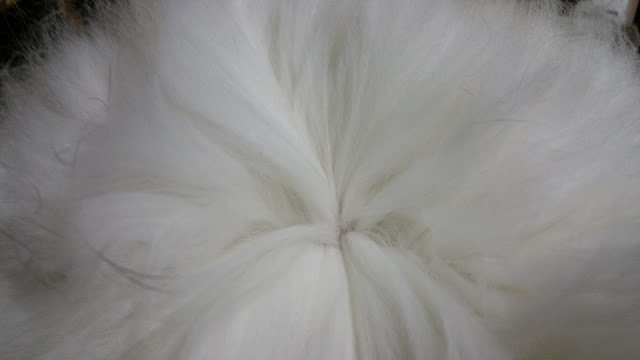 Angora wool should hold color down the shaft. Blue or black angoras should have grey wool, the longer wool is expected to a lighter color than the face color, but NOT this light! Felix's kits have also shown the white spotting on the forehead & nose, in addition to an occasional white toe nail. All these qualities are absolutely not acceptable for future show animals. This is a great example a what I do NOT want in our colored giant breeding program. I have seen coloring issues in many German Angoras too. For some reason, as they near a year old, the coloration of the longer wool shaft does not refresh like other angora breeds. Hence, leaving the wool a very light, nearly white color. Many great German and Giant breeders are making great progress with the colors. I need to incorporate some of their better stock in my breeding program. won her first BIS! Yeah! What a great time visiting with family, from my home town, Emmett, ID, 5/14/16. What a great Day in Emunclaw, WA! This handsome guy is only 5 months old, weighing in at 11 lbs already. Great pictures by Laura Larsen! Jean Harlow is simply gorgeous! How I love this girl!